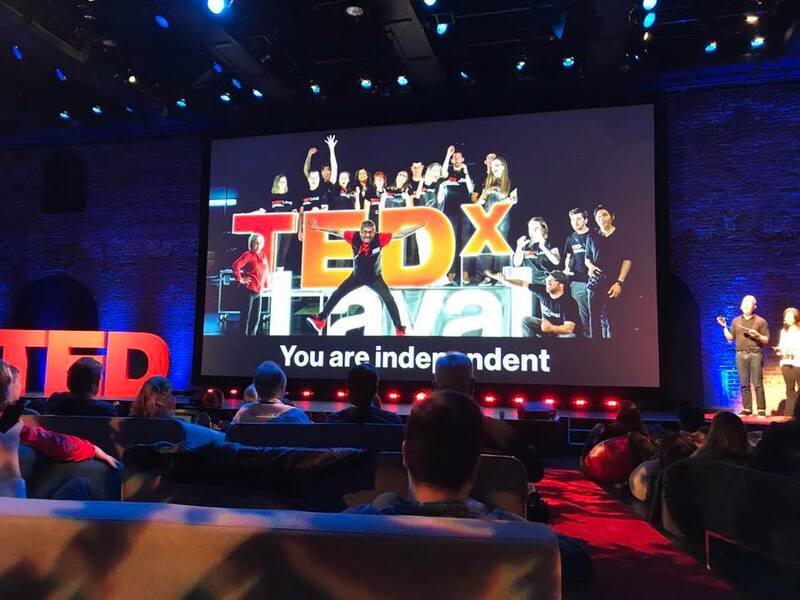 » What’s in store at TEDxLaval 2017? What’s in store at TEDxLaval 2017? You’ve probably seen a TED or TEDx video on your newsfeed or on the famous YouTube channel. This year, at TEDxLaval, we’re breaking new ground with an all-new type of event! We have prepared an evening of learning and entertainment with six great speakers and two top performers. How awesome is that? Here is what you have to look forward to! No need to take the day off. The event will take place at night rather than in the daytime. This is especially convenient for those who work during the day. You can get there from 5:30 PM to share and discuss with the TEDxLaval speakers and organizers. It’s an excellent networking opportunity! And guess what: the flamboyant Mamselle Ruiz will be performing live for you! The speakers will take to the stage starting at 7:00 PM, immediately following the opening remarks of our Honorary Chairman, Mr. Vincent Lucier, President of Place Bell. Christine Beaudoin of Cogeco Media will be our MC. To conclude the show, Brad Barr, the talented frontman for the The Barr Brothers, will be performing for you. The event which will end at 9:30 PM. As set out by TED, the talks will be 18 minutes or less. What a great opportunity to go straight to the point and share an idea, while remaining focused and relevant, and capturing the audience’s attention! On the evening of May 15, the famous and enigmatic Mamselle Ruiz will be performing first. She launched her album Maiz in 2012 and was recognized for her lively music, her magnificent voice and her emotional delivery. With her unique approach and her rich artistic expression, she won several prizes, including Radio-Canada’s world music “Revelation” for 2013-2014. She has performed on various stages in France, Mexico and Quebec, in addition to working with Cirque du Soleil. In addition to this successful career, Mamselle Ruiz is involved with Amnesty International. To conclude the event, Brad Barr, guitarist and frontman for the famous Montreal band The Barr Brothers, will give an acoustic performance as you have never seen before. In 2015, Brad Barr and his band headlined the main outdoor show at the Montreal Jazz Festival, where they will be performing again at an indoor venue in 2017. And the TEDxLaval audience will have the privilege to see him on stage at the Maison des Arts! Remember, this evening promises to be unique and very entertaining!